Open for breakfast and lunch, café Kiss the Barista in Sans Souci serves up a fresh and tantalising menu of breakfast and lunch favourites with a distinct Mediterranean twist. 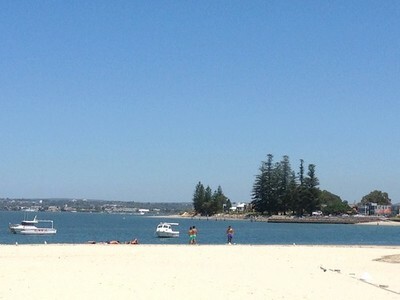 The beautiful view from Kiss the Barista on a sunny Saturday. 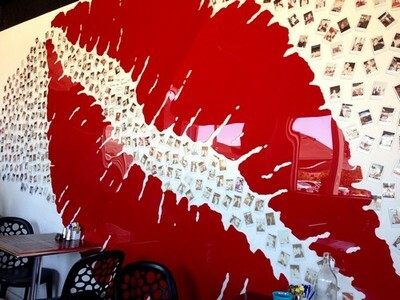 Walking up to the café, the first thing to catch your attention is the amazing ocean front view, but as soon as you step foot inside your eyes automatically drift to the enormous cherry red pout and collection of polaroid photographs emblazoned across the cafés back wall. If visiting for breakfast all the usuals, including eggs, pancakes and a variety of toast are available, but for something a little different, give the spicy dukkah ($15.90), a traditional Middle Eastern breakfast plate full of big flavours a go. The spicy dukkah, made up of crushed herbs, sesame seeds and olive oil, is served on lightly grilled pita bread with fried eggs and topped with cubes of salty feta cheese, sweet tomatoes, black olives and cucumber. For lunch, which is severed from 11am, there is a selection of burgers, sandwiches, wraps and salads. The grilled chicken wrap ($14.50) with avocado, sundried tomato and a garlic-y aioli comes with a coleslaw salad, that runs a little dry, but is fresh and crunchy nevertheless. The marinaded chicken breast is full of flavour and the wrap bread used is a little thicker than the standard tortilla, so the fillings actually stay in the wrap and don’t end up on your lap. 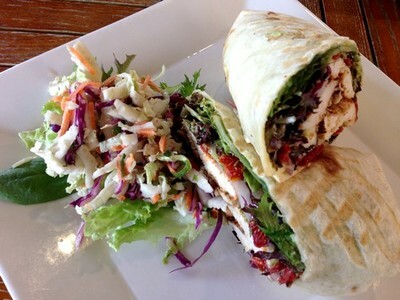 The tasty grilled chicken wrap. Like at any good Mediterranean café souvlaki makes an appearance on the menu. 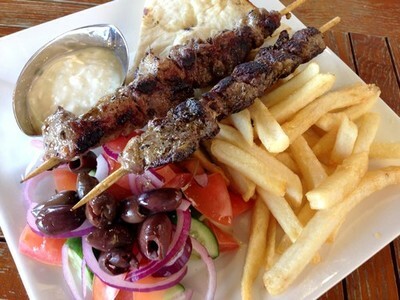 At Kiss, the lamb souvlaki ($18.50) comprises of two skewers of marinaded and grilled lamb served with a tomato, cucumber and black olive salad, creamy tzatziki, chips and grilled pita bread. While the salad is fresh and zesty and the chips golden and crisp, the lamb itself was overdone, making it a mission to even get off the skewer and a little chewy also. A Mediterranean staple - lamb souvlaki. For something a little lighter, Kiss also serves up a selection of gourmet salads, including a lamb salad, a chicken Caesar and a grilled chicken salad (all $18.50). 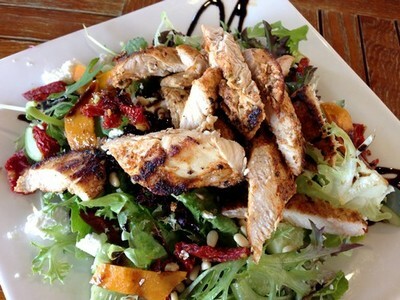 The grilled chicken salad comes piled high with marinaded chicken breast, roasted pumpkin, sundried tomato, Spanish onion, cubes of creamy feta cheese and crunchy, toasted pine nuts, all drizzled with a sticky balsamic glaze. This vibrant salad, full of flavour and texture makes for an ideal light lunch option. Definitely not a boring salad. While the café’s name suggests the coffee should be phenomenal (even though it’s probably more a catchy name than anything), the coffee at Kiss the Barista while good, won’t exactly make you want to jump the counter and pash the poor fellow behind the coffee machine. If you’re after tasty café style meals, speedy service and a stunning view though, Kiss the Barista in Sans Souci is definitely worth a visit. Where: Georges River Sailing Club, end of Sanoni Ave, Sans Souci. Why: Tasty meals, speedy service and a great view. Cost: Breakfast from $6 - $17.90. Lunch from $14.50 - $18.50. When: Open everyday from 6.30am - 5pm. Take away: Only coffee and sweets are available to take away.